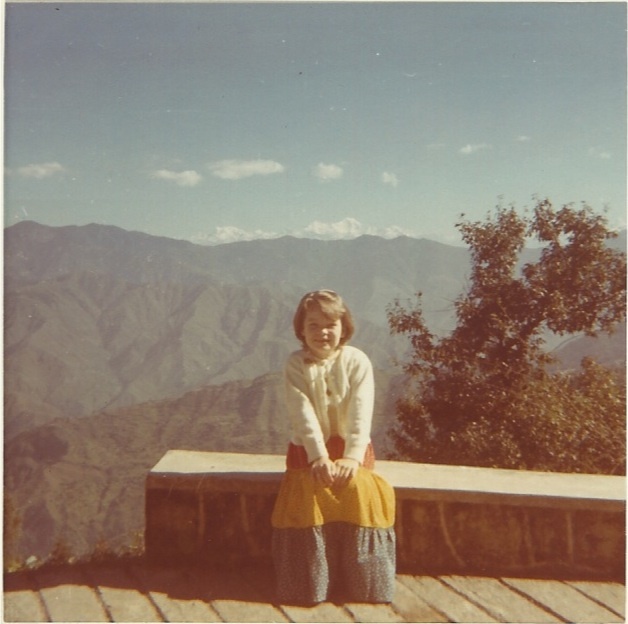 When I was seven years old, I had a long cotton skirt that I loved. I was fascinated by the three bands of calico fabric, each with the same print, but with the colors arranged differently. As I grew, the skirt got shorter. Not caring that it had ceased being a full-length skirt, I continued to wear it. Then the day came when the elastic waistband was simply too tight. I finally accepted that I’d grown and the skirt no longer fit. When my mother bought me that calico skirt, she knew I’d outgrow it. I was a child and I was expected to outgrow my clothes, toys, books and furniture as I grew and changed. As adults we continue to grow and change. We still outgrow our clothes, toys, books and furniture. In my 20’s I owned a red Nissan pick-up truck. After driving it around New England and New York for ten years and helping friends move, the body was rusty, the power steering shot and I was discovering the challenges of a pick-up with front wheel drive on icy hilly roads. Then one summer day, my mother came to visit. After a cup of tea, we loaded my two yellow labs into the bed of the truck and drove a few miles down the road to walk in the woods. I’d barely gotten out of the driveway when my puppy jumped out of the bed of the truck. She rode in the cab on Mum’s lap. On our walk, it started pouring. I didn’t feel like I could ask my wet mother to hold a drenched puppy and a soaking dog on her lap for the short drive home. As I drove home in the rain with wet dogs in the bed of my truck, I accepted that my life had changed in the ten years I’d been driving my beloved pick-up and it was time to get a vehicle that fit my current life. When I bought my used Nissan, I knew it wouldn’t last forever. Still it was my dogs more than the rust that made me realize I’d outgrown it. I had a family now that included two large dogs. In both these stories, obvious changes – a growing body, a growing family – made it clear to me that I’d outgrown something I loved. But there are also smaller, more internal changes, ones that happen slowly over time. Years ago I bought a dark blue mug from which I drank many delicious cups of tea. I no longer own this mug. Not because it broke or even because it held less than positive associations, but because I realized I value handmade mugs and this one was commercially made. I had outgrown this mug emotionally. Just as I want my dogs to be safe and dry when we drive places, I want the details of my home to fit who I am today. I want to drink my morning tea from a handmade mug that keeps my tea hot and warms my soul. I want to dry my hands on a towel that is absorbent and reflects my own beauty. When the things I use every day fit my heart, when they reflect my current self, I feel supported in who I am today and this support helps me thrive and grow in new ways. My invitation to you: As you go about your day, pay attention to the details. Do the things you use reflect your current self? If you find something that doesn’t, can you let yourself replace it with something that supports who you are now? I’d love to hear about it. Yay! You have a blog. Good work growing your website and your online presence and endeavors! 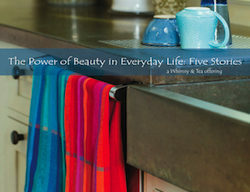 Always a pleasure to read your insights and an even bigger pleasure to use your kitchen towels. Thanks, Barbara! And a huge thank you for designing my original site and getting me launched in this online world.